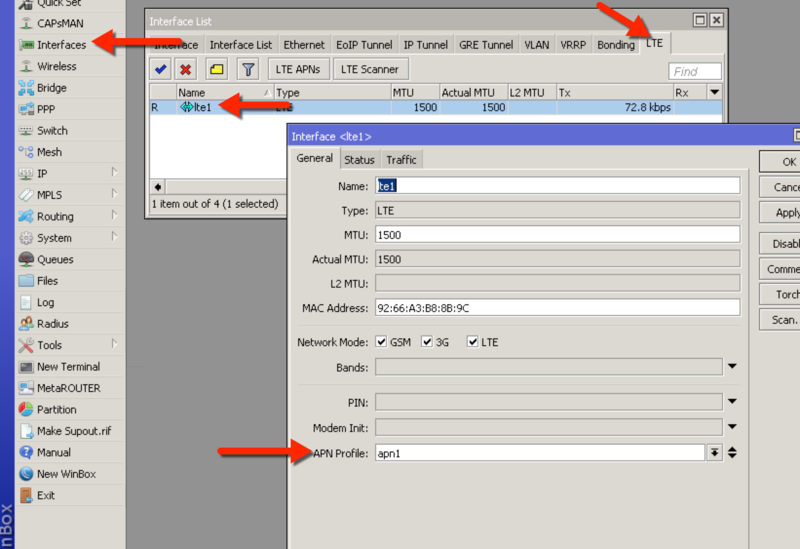 Click Interfaces-LTE-LTE APNs and delete the APN's there. Make a new one named whatever you like. 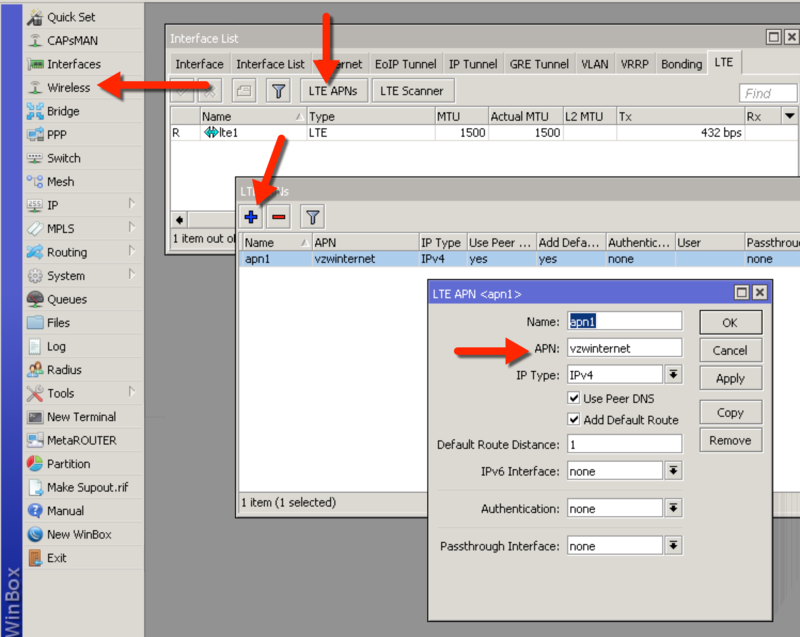 Fill in the AOPN value to "vzwinternet".